Please note that work to replace the roof at 320 Newbury Street has begun. The work will last through November 14th. On Saturday, Oct. 17th & 24th and on Saturday, Nov. 14th a crane will be in place on Hereford Street. 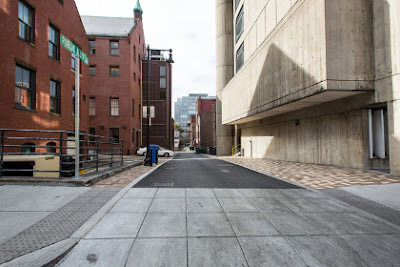 This will necessitate the closure of the sidewalk along Hereford Street from Newbury Street to the BAC alley, as well as the bike rack at the rear of the building from 7am-4pm.